Looking for a quick freezer-friendly meal idea that the kids will love? Look no further. If you’re the type of person that feeds family members around three or four different schedules you’ll love this dinner. 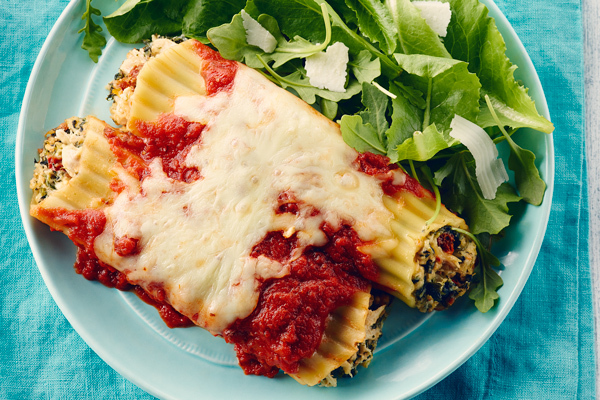 Bake manicotti fresh or frozen and choose whether to do it in a large family style baking dish or personal sized containers.